Insh'allah, We will come together to explore and experience the Divine Unity and Love during 3 days together. This is an opportunity for everyone (beginners & experienced) to deepen understanding of ourselves & the world around us. In this experiential workshop we will practice together the mystical chant of remembrance – Zhikr, and free turning, sitting meditation, poetry, discussions about our spiritual path, bringing questions and answers to the circle, on how spiritual practice encourages attention in our life in the “here now”. Spirituality does not mean drifting away to the clouds of illusion; on the contrary it means having the feet firmly grounded in Reality but with ‘Spiritual freedom,’ the liberation from dogmas and preconceived ideas. 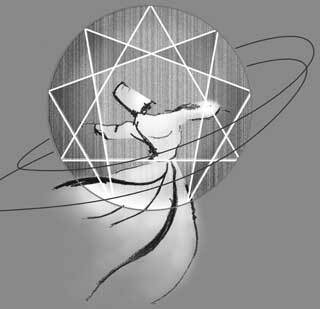 The Sufi sees the Divine Presence reflected in all names and forms, and is limited by none, without any religious obligations, regards spirituality as the religion of the heart; it is an attitude of inner understanding towards all beliefs.